This #PlaybookRT was led by Shivku, techie and founder of Exotel. The theme ‘The Ship of Theseus’ was inspired by the movie released in 2012 and also by a team in TCS that used to call itself the Ship of TCS. The focus of this Round Table was to evaluate if product developers have enough insight about the Indian Consumer to make a product company. Most technology companies have an exposure to the Bay area product culture, but do they know enough to build products for our own local market needs. There were a lot of insights that were drawn on the product eco-system in India and the following is a summary of the discussion. What is the ideal organization structure for a product company in India? It’s the culture that defines an organization structure. It’s common to find the founder’s background driving the product decisions, for example, a founder with a sales background will ensure the product management strategy is more sales focused. Shivku had led the discussion with Exotel’s organization structure explaining how his organization structure allowed him to scale his product. 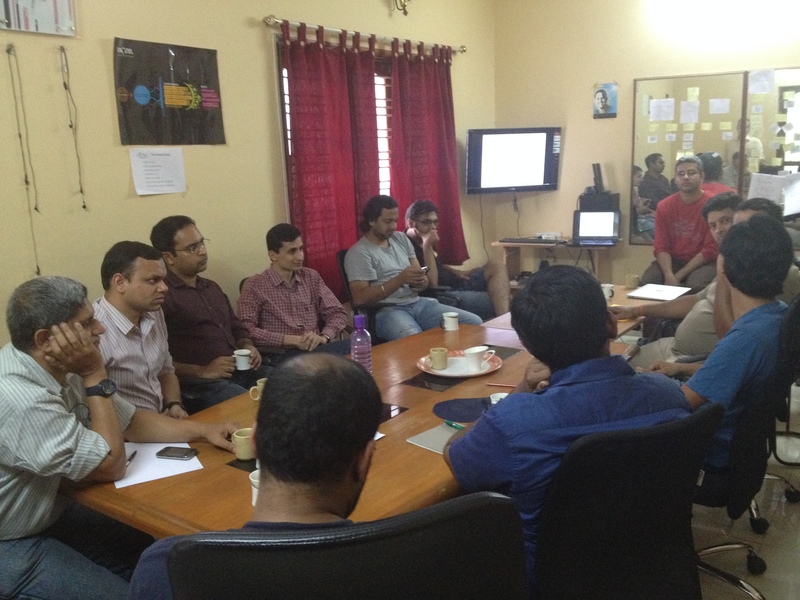 Exotel’s teams are divided into Operations, Marketing & Sales, Product Management and Core Technology. 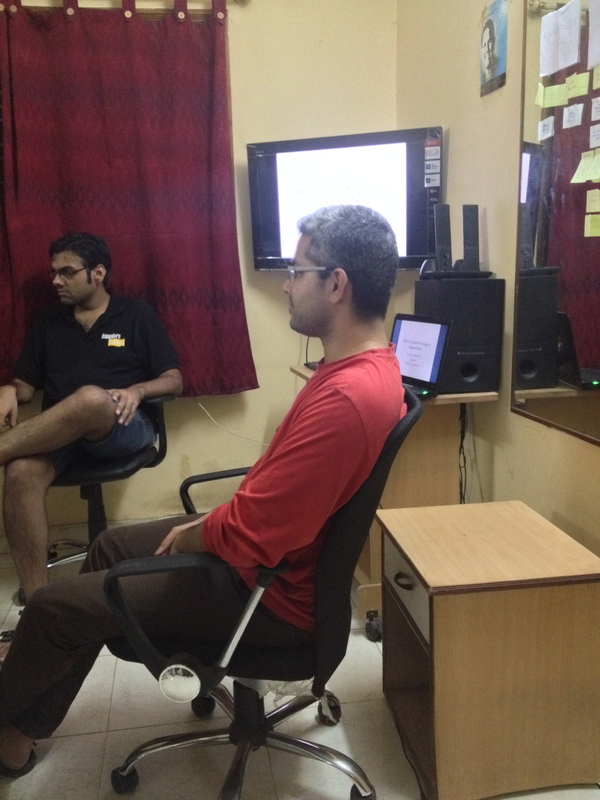 Interestingly the support team has been integrated into the Product team in Exotel. This unique structure was done so as to ensure that the product team is closer to the customer. Customer complaints are usually an indication of bad code and the team that pushed this out this bad code is also responsible to fix it. Even though each team’s responsibilities and targets are clearly demarcated in Exotel, there is a technology person in each of these teams, making them self-sufficient. 1) Democratically building a product feature set in the early stages is important. But once you cross a tipping point in terms of customers its best to pick and choose features that will drive the product’s engagement in your core audience. If you do not this, you may end up building a services company instead of a product company. 2) Listening to your sales team is very important. It is upon meeting a lot of customers that the sales team can synthesize patterns (of customer needs). Identifying this common pain point between customers ensures that you are satisfying a broad market need and not a specific problem within a company. 3) We can’t satisfy every customer with one product and your product will need to scale in the direction you see the best product-market fit. Ensure sales teams have a clear audience to market the product to. If the sales guy comes back saying that there is no product-market fit, then it is very likely that he is selling to the wrong audience. In terms of KPI’s, B2C companies tend to focus more on the virality and retention and B2B companies focus on monetization and sales. From the discussions it also became clear that you cannot improve on things that you cannot measure. The focus on which KPI’s to use to measure success keep changing depending on which stage your company is in, for example, in an e-commerce company, it is very likely that initially the focus would be on customer acquisition, it could later change to sales, then margins and probably retention. Translating the top level metrics which the CEO/Board measures to smaller metrics which your sales/technology team can measure is very important. This helps you correlate any discrepancies and problems that may arise. It also gives you a fair understanding of the success/failure of a new initiative. Bharath, from Pugmarks.me, illustrated the above problems with an example. His product management philosophy currently is to create high engagement in a smaller audience. By identifying the customers pain points on why user’s drop-off very early, he was able to divert his team’s resources in fixing this problem, thus ensuring retention. He highlighted a problem with low latency which hindered the user experience leading to poor retention. The team has now spent a considerable amount of resources in fixing this problem, to ensure the product’s KPI’s were met. However, the focus could later change to improving engagement and/or CTR’s. When do you know and how do you know if you have a product market fit? Rinka Singh, highlighted his pain points while talking to his first set of potential customers. Although he had met many companies that he initially considered to have a problem-solution fit, these customers never converted into paying customers. It was through perseverance and exploring a little bit further down the value chain that it became apparent to him that he had been attacking the wrong market altogether. Upon increasing the awareness within this initially ignored consumer group, he had faced a tremendous increase in customer response. Rashmi Ranjan, founder of Shoppers on, highlighted his experience when he launched his product. The product had served a very important need in the market that. It pulled customers in, without the need for a push. He had over 20-25 signups without even going out which indicated a great market fit. In conclusion, when your customers start to get pulled by your product’s features then it is very likely that you have a successful product market fit. What is the product manager’s responsibility? A product manager’s job according to Marty Cagan is to discover a product that is valuable, usable and feasible. Very often the only person who has a complete view of the product (tech, business and sales) is the product manager. A product manager’s responsibility is to find solutions the market needs the most. He very often envisions the path of the product and depending on the company’s resources his responsibilities could also differ. From the discussions, it became apparent that as an entrepreneur you very often end up constantly building and it becomes very difficult to focus on the micro details due to the backlog of features. A product is built in conjunction and not in isolation from the market. Hence, it is very easy to forget the customers who you are building this product for. In the build, measure and learn cycle, we very often forget to measure and learn. It is important to not let this happen, and the recommendation proposed was to change this role to be of a product market manager instead of a product manager as it is very easy to commit the mistake of constantly building without feedback. Do I know if a product that was built abroad will be successful in India? Products that are successful abroad and in India seem to have a strong cultural thread which makes it successful. For example, Facebook ties in common user behaviours of sharing and socializing. However, it’s the ecosystem that drives a products success. You need to constantly evaluate and iterate. In India, it is unlikely that a consumer product can succeed without venture funding. This is probably why we see more SaaS business models or a lot of B2B products in the Indian eco-system. The conclusions drawn were that you need to have a network that allows a product to grow into the scale it needs to succeed. These networks maybe very well developed in markets like US, but India is catching up. It was also pointed out that there is no dearth of venture capital in India. The supply often exceeds the demand. We need to utilize these channels appropriately and grow the product efficiently. People also need to be more vocal about products they like as more often than not, it’s the early adopters who drive the product to success. Are we bent towards making services in India? The product round table concluded by evaluating the Indian product companies psyche. The question was whether companies like Infosys and Jugaad were the reasons why Indians leaned towards a services model. Services by nature start and end with a contract. The problem definition is usually laid out by another company and there is very little room for novel products to come out in this problem space. Product companies are driven by a vision, and it is often executed by combining fields such as design, humanities and engineering. It is important that Indian’s focus more on building our strengths in design and humanities. This disconnect was attributed to the poor education system. We have the knowledge and network to build great products in India. Although there maybe large inefficiencies in distribution, Indians have had a fair amount of success stories with regards to products. Flipkart and JustDial are great examples of this and we need to work towards improving the network for product entrepreneurs to succeed. From the Launchpad, promotion, content curation, funding, and giving back to the community, there is a lot that can be done to make the eco-system in India more robust to serve its customers. Previous PostPrevious Being Lean: Being Flat: Being Beautiful! Next PostNext Susant Pattnaik: Real Life ‘Doremon’ or an Innovation Champ?